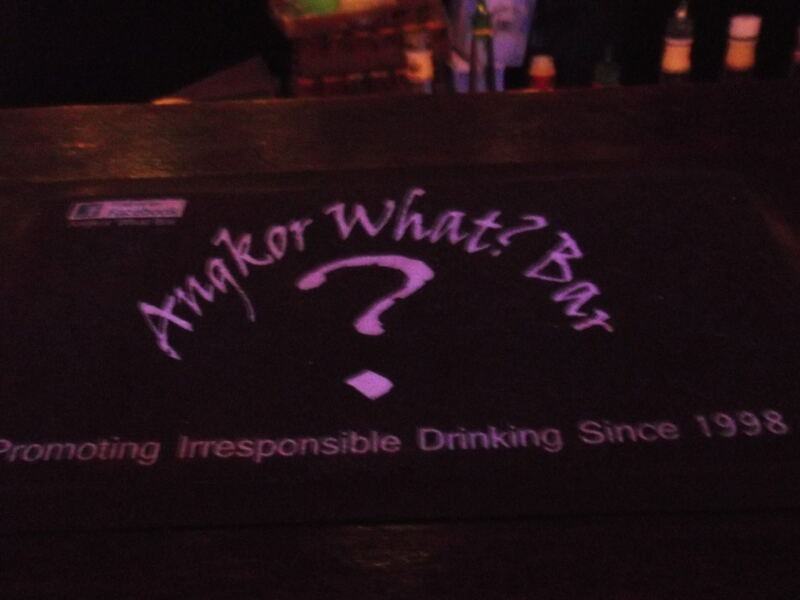 Puns and comedy rank highly with me on my travels and today’s Thirsty Thursdays warps me back to Cambodia last year and the city of Siem Reap and a trip to a bar with a pun in its title. Most of you will know Siem Reap for its association with the Angkor temples, most notably Angkor Wat. However after getting your fix of temples touring in the day, this city becoming a thriving “backpacker hub” at night. 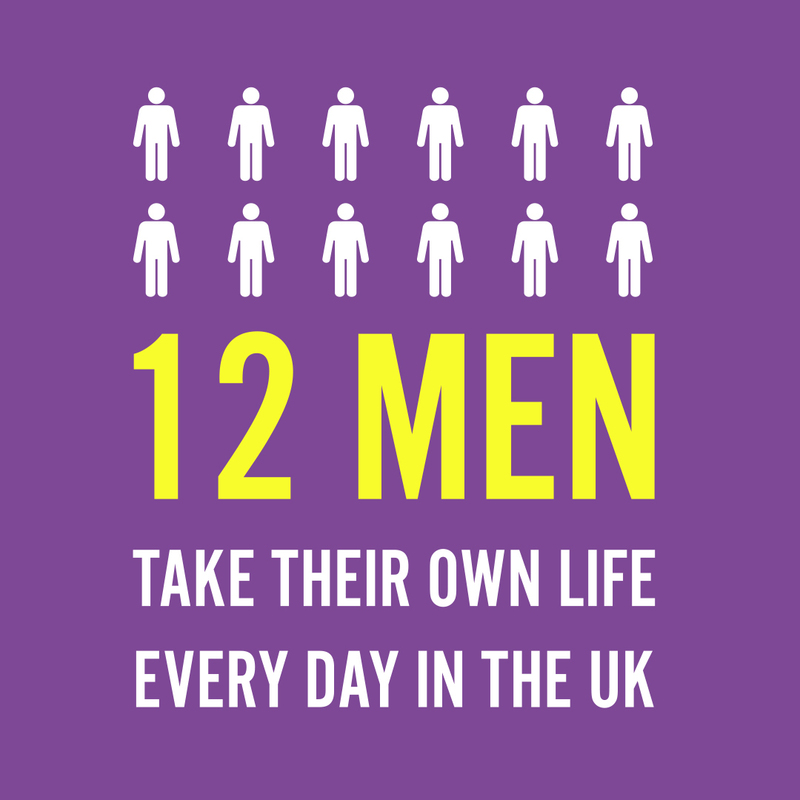 And while it’s sometimes healthy to avoid “backpacker hubs”, this one is kind of good. There’s a pub street in Siem Reap and bang in the middle of it is the famous “Angkor What?” bar. It had to be done and in style. 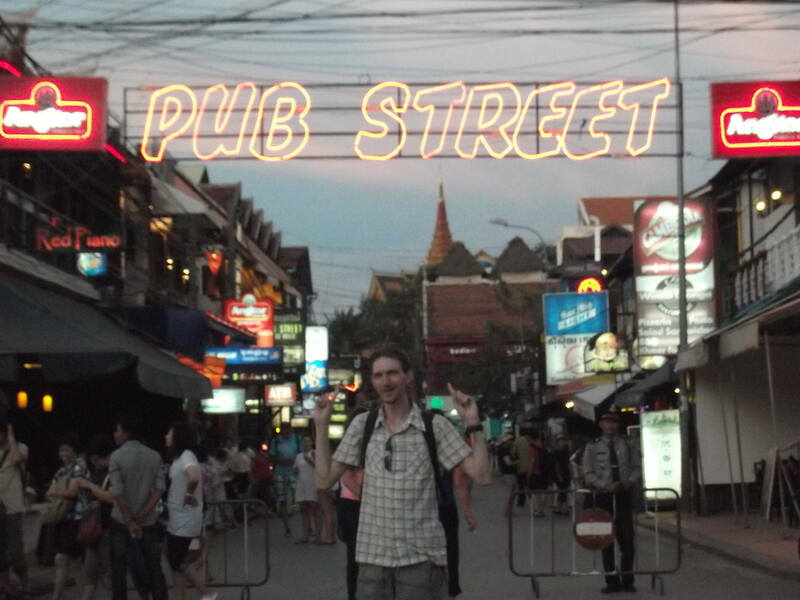 Thirsty Thursdays – me at Pub Street in Siem Reap, Cambodia. My travel buddies from Cork, Anthony and Helen had met me in Laos and roomed and travelled with me along the way. We had great fun! Sipping a whiskey and coke bucket in the Angkor What? Bar in Siem Reap, Cambodia. When we heard that the Angkor What? 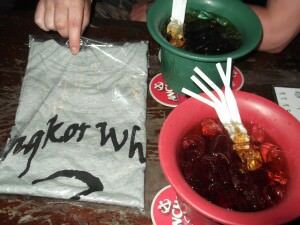 Bar has a free t shirt for every two buckets of whiskey you buy, we had to buy them. As a budget backpacker, I also admit to being a sucker for random souvenirs and “caught in the moment type” situations. 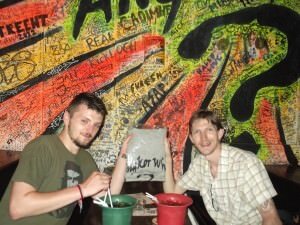 Whiskey Buckets and Free T-Shirts – Anthony and I enjoying life at the Angkor What? Bar in Siem Reap. After having a beer in the Angkor What? bar it was time for multiple whiskey buckets. They were all whiskey and coke and we shared them just to get the free t-shirts (OK so not “really” free then…). Crazy maybe but true. Alcohol in Cambodia is cheap anyway (a pint can be as cheap as 50cents in some bars) and we were having fun. Buy two whiskey and coke buckets and get a free t shirt. Angkor What? 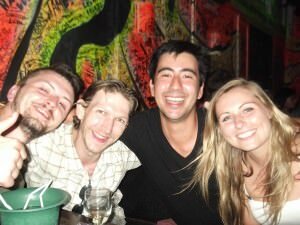 Bar in Siem Reap. That day we had done Angkor Wat itself (I actually bought a 3 day ticket and did a lot of the temples) and were well up for a session. 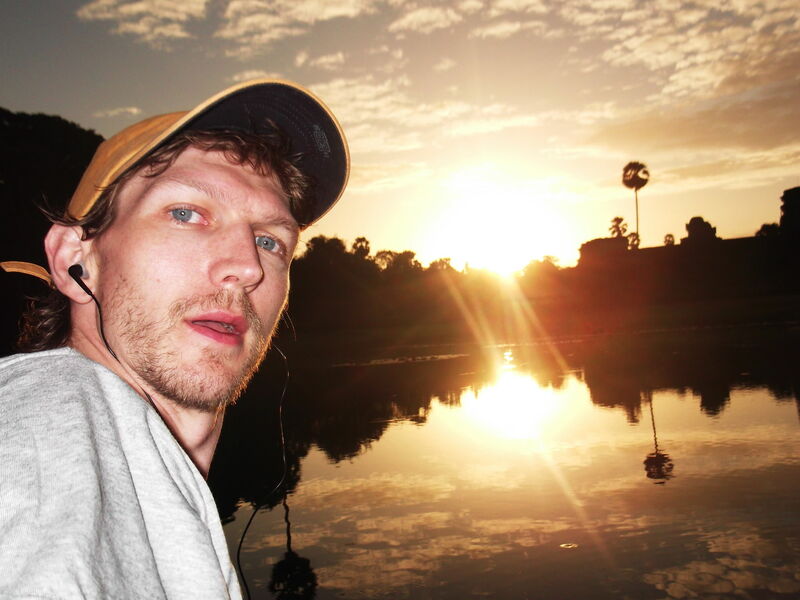 The next morning would be a 5am pick up from my tuk tuk driver to see Angkor Wat for sunrise. 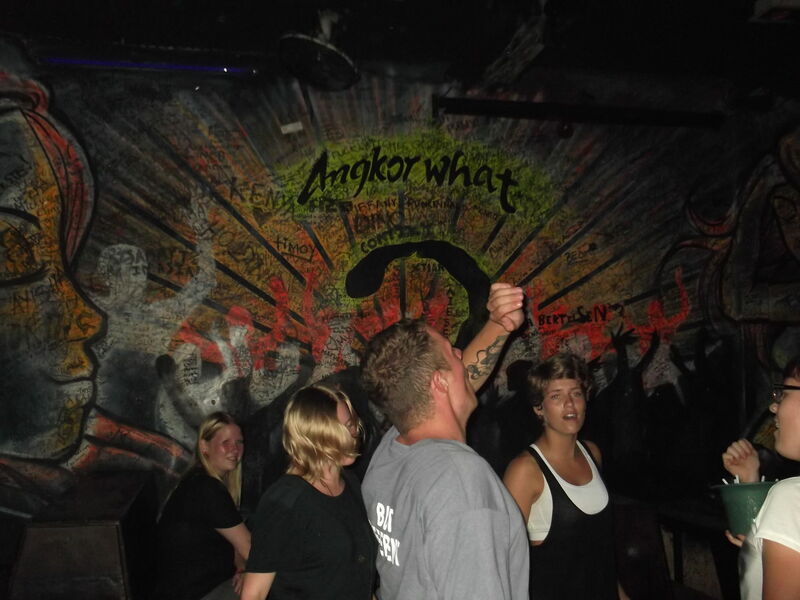 Late night party in Siem Reap at the Angkor What? Bar. 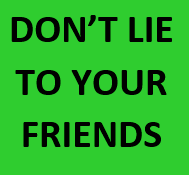 That should have meant an early night, but when a few Irish and token Brazilian (Felipe) turned up it ended up being a late one, and I got home around 2am to the hostel (Ladybug Guesthouse). Yes it was another crazy night! And it actually was on a Thursday too! Partying in the Angkor What? Bar before a quick sleep before sunrise at Angkor Wat temple. 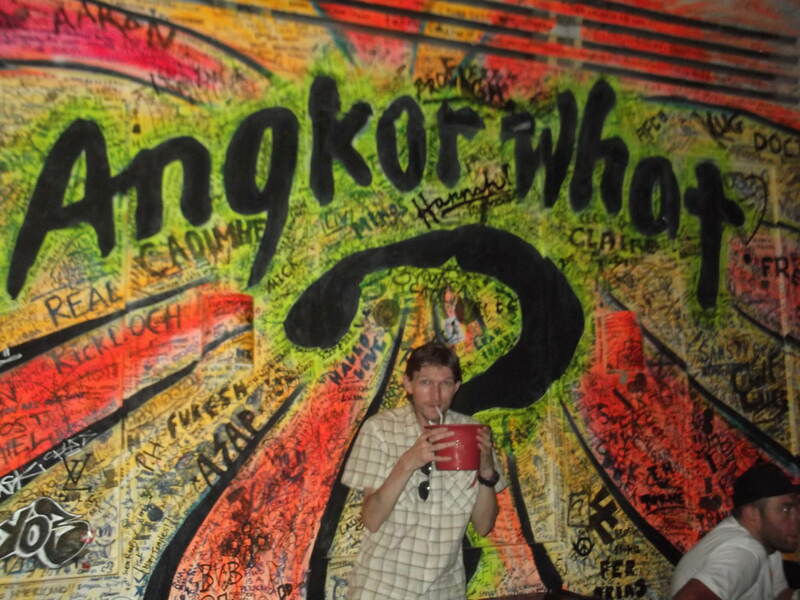 You’ll probably be bored of photos of people drinking in the Angkor What? Bar in Siem Reap so here’s one from the epic sunrise at Angkor Wat, the real Angkor Wat by the way, not the bar of the same name! A few hours after partying in Siem Reap I was admiring the marvellous sunrise at Angor Wat in Cambodia. Now that’s a view to kick start a Friday after another fine Thirsty Thursday! This entry was posted in Angkor Wat, Asia, Cambodia, Daily Features, Destinations, Siem Reap, Thirsty Thursdays. Bookmark the permalink. 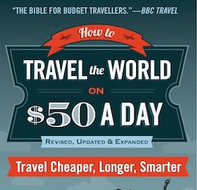 Where do you get money from travelling like this? I really aspire to travel like you.